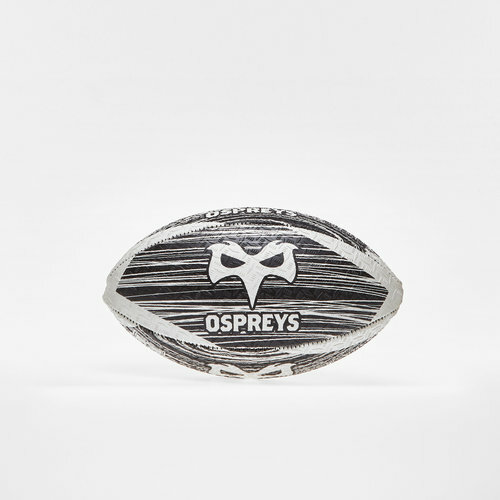 Whether you're in the park practising or keeping it on full display show everyone you're an ospreys fan with this Ospreys Home Supporters Mini Rugby Ball. 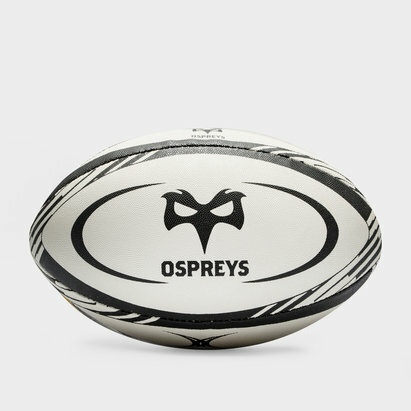 This supporters rugby ball can be use to help practice your skills to have you playing just like your heroes or can look just as good as a momento souvenir piece on display in your room. 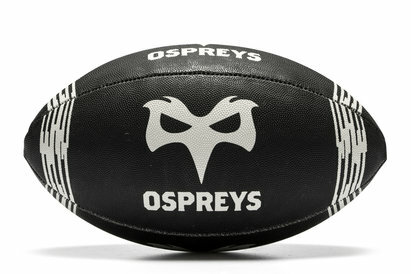 This ball features a standard grip with a grippy rubber compound surface. The 2 ply backing material and synthetic latex bladder both provide excellent air retention. 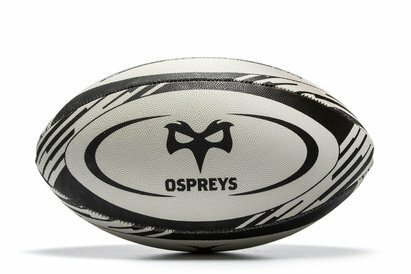 This ball is black with white detailing, sticking to the Osprey's colour scheme for this season and matches their home kit.